I recommend it to all my clients who like to keep their money and payments under their purview. This also allows you to assign roles for others so you can have someone help you manage and run payroll. Easy to use and you can make changes at the last minute while running your payroll. Accurate. Virtually never have an issue. Good reporting including custom report features. I am not experiencing any issues. More reporting options online. Downloading export is cumbersome. Speedier deposits. 4 day turn around is a problem sometimes. It could use a mobile-friendly interface. Other than that it's a simple layout and non-cluttered which allows you to get done what you need to get done. No unnecessary dodads or distractions. 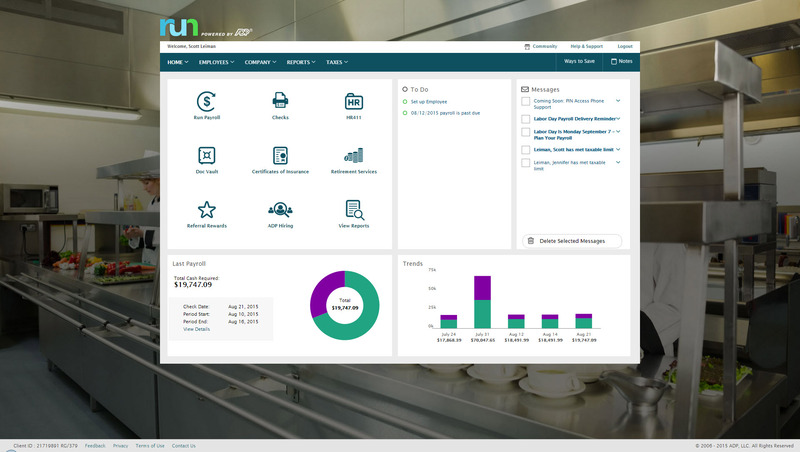 Paycom was very good - but RUN is just so simple! Granted when using Paycom, I was processing payroll for some 50 persons. My ADP RUN experience is for a client that has only 3 employees. But RUN is very simple and straightforward - simple to use and setup. I would continue to use ADP RUN just because it is simpler, and provides mobile access. I liked patriot, but I found it to be more confusing than Square and took me too much time to setup. I setup Square Payroll in about an hour. I would also say the Square interface made more sense to me. I also like how Square offers more things like benefits, etc. that can be added on. Accounting is saving at least 2 hours each week processing payroll. The HR information online has saved at least 5 hours a month. Employee satisfaction with ADP is very positive when the mobile app is working properly.